Volcán Tajumulco, a stratovolcano in Guatemala, is the highest mountain in Central America at 4,220 meters. Volcán Tajumulco is the highest summit of Guatemala and all of Central America. Central America is in the farthest southern part of the isthmian portion of North America continent to South America and to the southeast. Mexico borders Central America to the north, the Pacific Ocean to the west, the Caribbean to the East and Colombia to the Southeast. The seven countries that make up Central America include Nicaragua, Cost Rica, Panama, Guatemala, Belize, El Salvador, and Honduras with a combined population of 42,688,190 according to 2012 census. There is a great deal of seismic activities in Central America due to the active geological faults and Central America Volcanic Arc. Because of the seismic activities the region experience frequent earthquakes and volcanic eruptions. The region is a home to some of the highest mountain ranges and peaks. Some of the countries’ highest elevations include Guatemala, Costa Rica, Panama, Honduras, El Salvador, Nicaragua, and Belize. Volcán Tajumulco, a stratovolcano, is the highest mountain in Guatemala and the highest elevation in Central America. The mountain found in the western part of Guatemala has an elevation of 4220 meters (13845ft). Volcán Tajumulco is part of the Sierra Madre de Chiapas range, a chain of many mountains running from Mexico through South, North, and Central America forming the Western backbone. Volcán Tajumulco is a protected area with the visit to the place arranged in the city of Quetzaltenango. Cerro Chirripó is the highest mountain in Costa Rica and the second highest elevation point in Central America with an elevation of 3820 meters (12533ft). The mountain is found in the Chirripó National Park and is famous for its geological wealth. 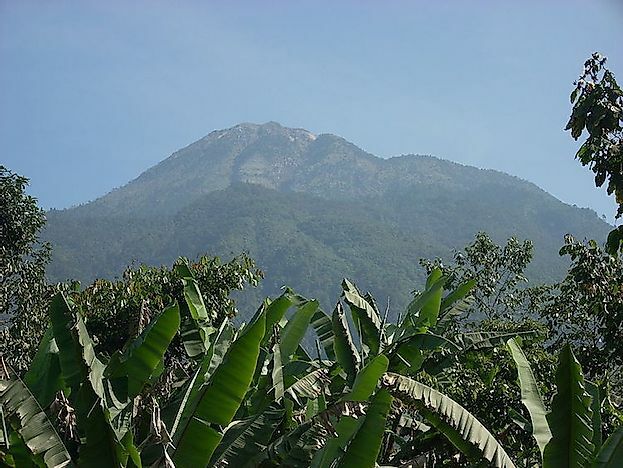 The high peak in Cerro Chirripó makes a sky island for several species of plants and animals. According to the University of Cost Rica, snow has not fallen on Cerro Chirripó for the last 100 years. Those who climb to the top of this mountain on a clear day can see across the country from the Caribbean Sea to the Pacific Ocean. A permit is needed to climb Cerro Chirripó Mountain. The permits can be obtained from San Gerardo de Rivas national park office. Volcán Barú is the tallest mountain in Panama with an elevation of 3475 meters above the sea level. The active stratovolcanic mountain which is a part of Cordillera de Talamanca lies 35km away from the border of Costa Rica. Volcán Barú is surrounded by highlands that are drained by Chiriqui Viejo and Caldera rivers. Formation of frosts is common especially during the dry spell. Most broadcast towers in Panama are hosted at the top of Volcán Barú Mountain. The mountain was declared a national park in 1976. The plantation on Volcán Barú includes wrenthrush, black guan, underwood’s water mouse and volcano junco. The most popular hiking trail on this mountain is the Sendero Los Quetzales. Other mountain ranges and high elevations in Central America are Cerro Las Minas in Honduras with an elevation of 2780 meters, Cerro El Pital in El Salvador 2730 meters, Mogotón in Nicaragua 2107 meters and Doyle’s Delight in Belize 1124 meters. Most of these mountains are part of the Sierra Madre de Chiapas and Cordillera de Talamanca ranges. Between the mountain ranges are the fertile valleys suitable for agriculture.